Orbita is pioneering the use of smart speakers and voice assistants for healthcare with what it calls a conversational platform for healthcare. Nathan Treloar is President and COO at Orbita and he spent a few minutes sharing more about how voice will impact healthcare while touching on a few topics that will be included in his upcoming presentation at Voice of Healthcare Summit which will be held at Harvard Medical School on August 7th. Below is the transcript of a recent email interview with Nate. Where are you seeing the most interest in voice in healthcare and what have been the first applications? Nathan Treloar: Orbita is an enabling technology platform for voice-first applications, so it follows that we’ve seen the greatest interest (business-wise) among app developers and other service providers to the industry. Companies that are looking to tap the potential of voice within an existing app or service that they, in turn, license to providers and payers. We’ve seen considerable interest from Pharma for clinical trial optimization, and then, more generally, for digital marketing. More recently, we’ve seen a rise in interest in solutions for clinical efficiency. For example, reducing the time it takes for a nurse to inform and discharge a patient after a out-patient surgical procedure. 2) How would you describe the potential for voice-first technology to impact modern healthcare? Treloar: There are almost as many applications of voice in healthcare as there are problems, but we’re seeing voice being applied in two major categories: 1) remote care – improving patient engagement and education to empower better, self-managed care outside the clinics and 2) clinical efficiency – reducing clinical staff demands through process improvement solutions. 3) Amazon’s Jeff Bezos is currently working on a stealth healthcare venture, working in tandem with Warren Buffett and Jamie Dimon. What do you anticipate from this effort, and do you expect Amazon’s Alexa to be at the forefront of whatever this group decides to do? Treloar: I won’t pretend to have any special insight into those plans, but I would never rule Amazon out when it comes to their ability to disrupt the industry – including healthcare. Whatever those plans are, it will take time for them to have an impact and, yes, Alexa or some variant will have a part to play, but that’s more of an assertion about the potential of voice than it is a position statement about Amazon’s strategy. 4) Google Assistant has made great strides over 2018, gaining smart speaker market share from Amazon and rolling out the profound, controversial Google Duplex just a month ago. How do you think Google, and Google Assistant, might differentiate themselves within the healthcare sector, relative to Amazon’s Alexa? Treloar: Yes, Google has made great strides, but Google appears to be taking a much more careful, deliberate, conservative approach to healthcare than Amazon. If they can beat Amazon to market with a strong story (i.e software and hardware) around privacy and security, Google could gain the stronger foothold in healthcare that they both want. Both are focused on generating high-value healthcare content – created themselves and gained through partnerships. Google’s experience and technology may offer some advantages. Also, Amazon has hardware, but they don’t have nearly the number of devices that Google has (i.e. 500 million) on which they can support voice. 5) Orbita is partnering with the AARP to study the effect voice assistants and smart speakers have among the elderly population to improve monitoring and reduce isolation. What have you learned already in this regard? How can voice-first technology help senior citizens? Treloar: Orbita’s engagement with AARP has been somewhat indirect through our partnership with Pillo — Orbita’s technology is embedded within the Pillo device and experience. The pilot is still ongoing, but early results have helped to confirm that adoption rates for voice among seniors are better than adoption of other digital health experiences. It has also helped to confirm the importance of high quality, contextually relevant content in the voice-based care experience. Treloar: Teri Fisher, host of Alexa in Canada. I’ve heard Teri speak before. He’s amazing and insightful. 7) How are healthcare requirements different from other applications when it comes to implementing voice technology within a clinical setting or with patients? Treloar: Security for many high-value use cases is a significant concern and while also a concern in other industries, it seems to get more attention in healthcare. Also, many of the healthcare use cases are oriented toward a demographic – the elderly – that are not regular users of digital technology. Designing voice-first content and voice user experiences for the elder community requires a careful consideration of empathy and interaction models. Finally, healthcare is a very complex industry with a lot of domain specific terminology, workflows, and [other unique attributes] that impose special requirements and challenges. 8) How does Orbita address HIPAA requirements in its voice application implementations? Treloar: It’s worth noting that there are plenty of high-value use cases in healthcare that do not require use of PHI or HIPAA compliance. Having said that, it is a fact that Alexa and Google Assistant are not compliant with HIPAA and that secure healthcare applications require different approaches. The healthcare industry expects Amazon and Google to eventually provide HIPAA-compliant versions of their voice assistants. In the meantime, Orbita supports several approaches to securing voice applications. 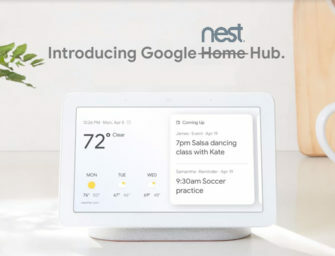 All involve a reference architecture that is essentially a deconstruction of the technology components that go into monolithic platforms like Alexa and Google Assistant created in order to deliver secure voice solutions over smartphones, tablets, and custom devices like the Pillo smart home healthcare device. Also, many of the secure healthcare voice app projects we’re engaged in are still based on Alexa, but are early pilots where end-user waivers can be used on the assumption that, by the time app or skill is ready to go into product, Amazon will have provided a HIPAA ready solution, or at least there will be another 3rd party device on which they can deploy. The bottom line is that it is still early days for secure voice applications in healthcare, but we are on the cusp of more mainstream deployments. We are seeing 2019 as the year for those.